A short glance at a resume is all it takes for a potential employer to form an opinion! 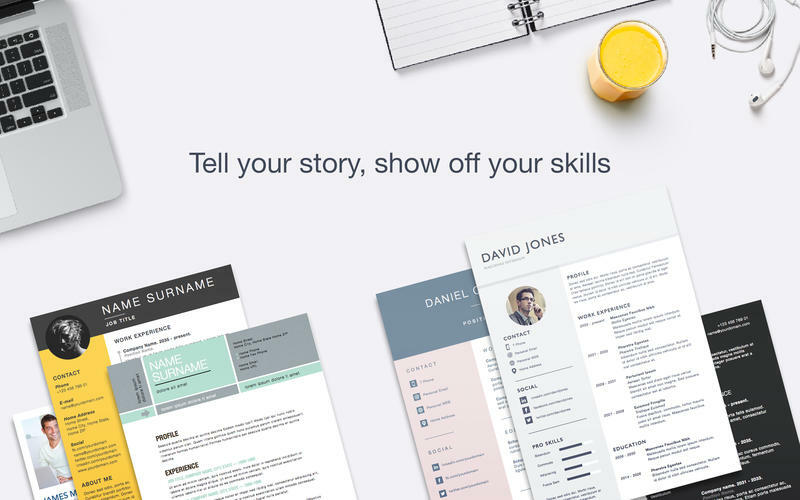 Jumsoft’s Resume Lab for Pages provides a plethora of resume templates for you to present yourself with a professional, attention-grabbing, and memorable resume to catch the eye of your potential employer! A variety of styles and layouts ranging from minimal to intense will give you freedom to tell your story, show off your skills, and list achievements. 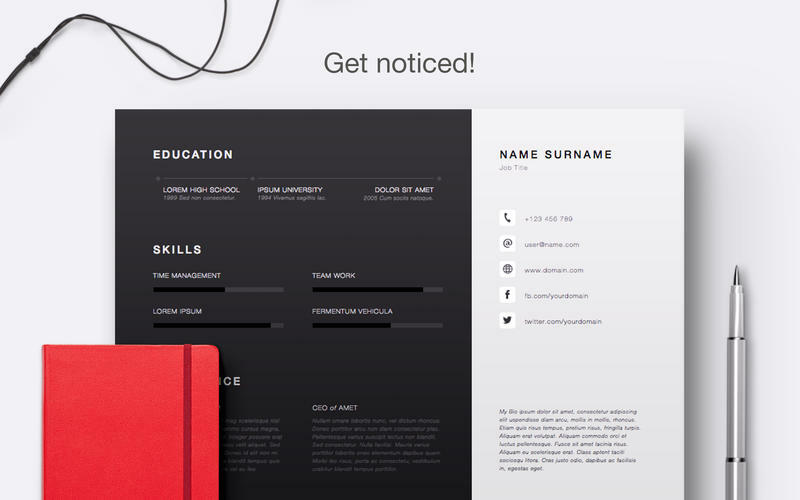 With more than a hundred included resume templates, you will surely find the perfect one to match your taste, reflect your skills, and scream professionalism! 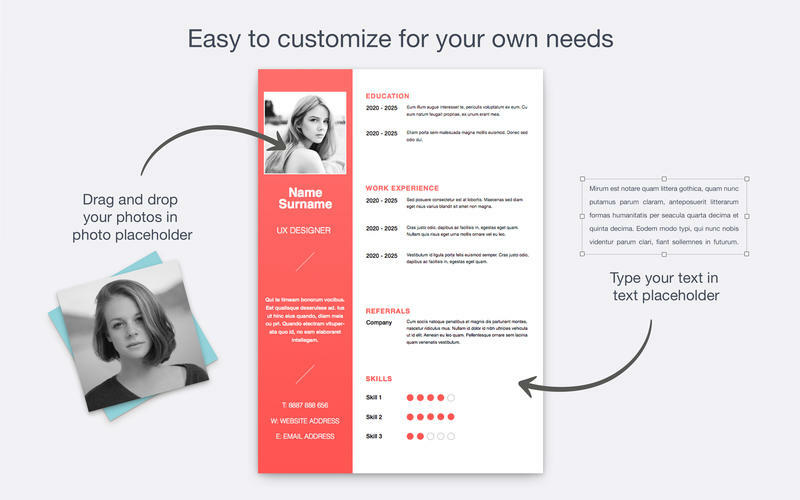 All templates are fully formatted in customizable sections for your convenience. Every object in the templates can be easily reshaped, moved, or removed, colors can be changed. Type or paste in your own text, add or remove text boxes, and choose the font to your liking - the power of customization is in your hands! Adding photos or pictures is as simple as dragging and dropping them onto the document! It’s the level of quality and ease of use you have grown to expect and love from Jumsoft!